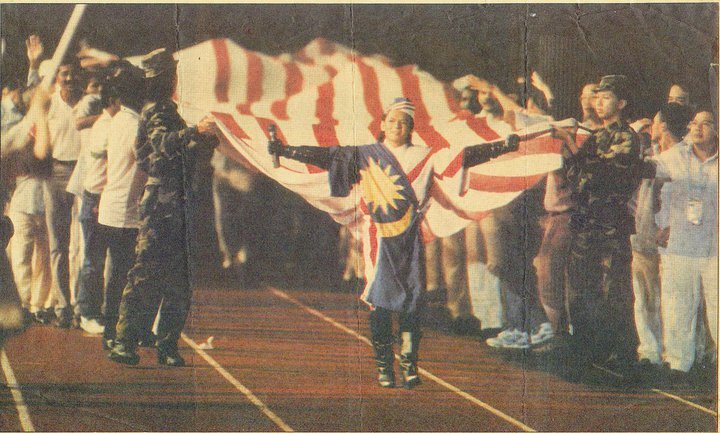 This Sunday marked the 57th anniversary of the independence day for Malaysia. Persekutuan Tanah Melayu or Federation of Malaya, if you really want to be detailed like that. Just like previous years, Merdeka celebration is always tied together with a theme. Interestingly, this year's theme - Malaysia, Disini Lahirnya Sebuah Cinta - is taken from a song called Warisan by the one and only Allahyarham Sudirman. Now, I haven't listen to this song for a very long time but Amin (one half of SoyaCincau.com, one of the most renowned local tech blog that focused on mobile segment; in case you want to know) pointed me to the song when I posted the theme song for this year's Merdeka celebration on my Facebook page.